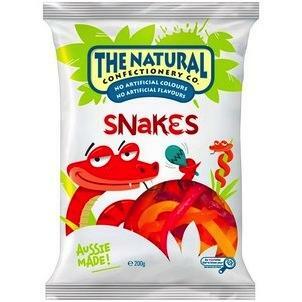 Natural Confectionery Snakes 280gram Delicious treat. No Artificial Colours. No Artificial Flavours. 99% Fat Free! No Artificial Colours. No Artificial Flavours. 99% Fat Free!